Set your brand apart with a custom 3 ring binder from Corporate Image. Whether you’re looking for a printed binder or a binder covered in cloth – we’re ready to help you produce a custom designed binder that you will be proud to show off. Our custom printed pocket folders are much more than just a folder. You’ll see and feel the quality in the precise pocket folder construction and the beautiful print inside and out. Printed index tabs complement and organize your custom 3 ring binder creating a unified design. Architectural folders and sample boards are specifically designed to showcase your flooring, tile, wood, glass or other product samples in a spectacular fashion. They are a compact sales tool custom designed for your unique samples. Boxes That Say "Open Me"
When your packaging creates the right intrigue and signals quality, your package will be opened immediately. A unique package design can tell a story, unveil a product and create a special moment. If you have a strong brand for your business, we can help you maintain that in the custom marketing materials we offer. We will match the quality of your business and the work you do in the products we design and construct for your needs. We stay up-to-date with the latest styles and designs in the industry in order to give you the exact look and function you desire. Our production crew will utilize their talents to specially craft a set of custom binders, personalized folders, index tabs, or office boxes – whatever you need, we can do. New digital finishing options allow you to add spot gloss UV, foil stamping and 3D embossing effects even on small runs. 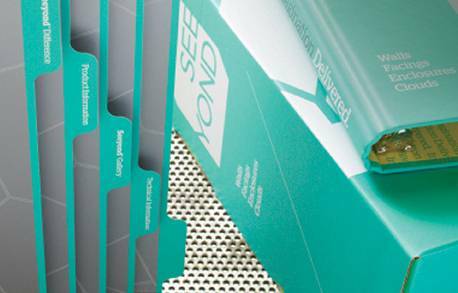 Learn more about how to make a big impression with your presentation packaging and request your finishing options swatchbook today.